We just participated in a local community art market last week. Events such as these, if attempted, involve every member of our family even if involuntarily. The weeks leading up, we were at full steam, building frames, adding last touches, pricing and taking inventory. It is amazing how much we can accomplish when given a hard deadline and kids who are napping or otherwise occupied. And of course, the house quickly falls into chaos. We do have a designated studio space, but somehow in times of focused production, our “productivity” can ooze out into the hall, the kitchen and the dining room. But, we go with it, knowing that it is just temporary and for a good reason. I like that our kids get to not only observe the process, but live in the midst of it. They too are stepping over piles of art in the hallway, and shoving things to the other side of the kitchen table in order to have a place to dine. 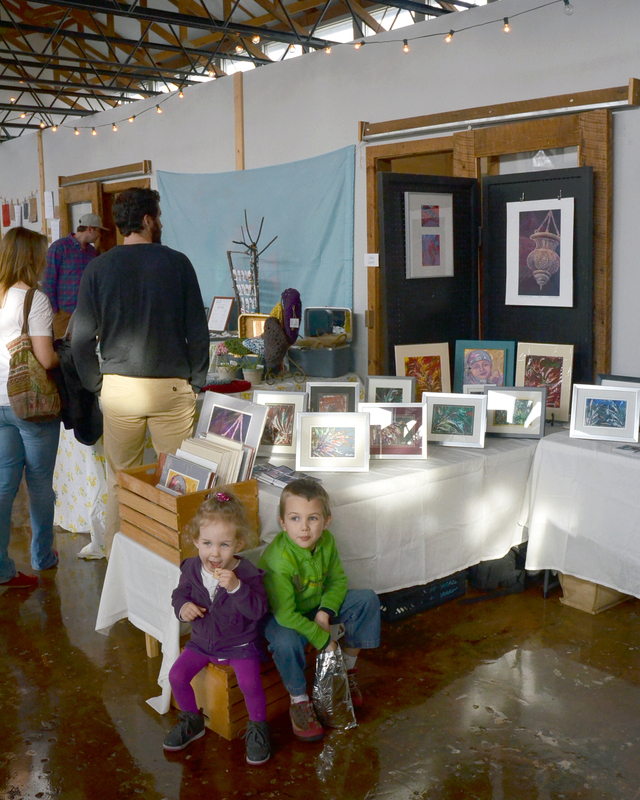 We only sold a few pieces at the art market, yet instead of being disappointed, we take into account the relational payoff and the family accomplishment of even participating as an art making unit. It also provided the opportunity to talk to our kids about the importance of the right piece of art going to the right person. A topic of discussion after my son, couldn’t understand why people didn’t buy our paintings after we had worked so hard to prepare them. And we get to talk to them about why we even make art, teaching that it is not just about making money, but about art connecting with people and that there is as much of a relational side to it as a marketing side. Don’t get me wrong, art markets are time consuming and if you do them often it is certainly important that your investments pay off, but we don’t depend on them for our sole income. We had so many great conversations, and we find value in that, as well as, the lesson such an experience provides for our children from beginning to end, even if the end involves bringing art back to reside with us until each finds its forever home.